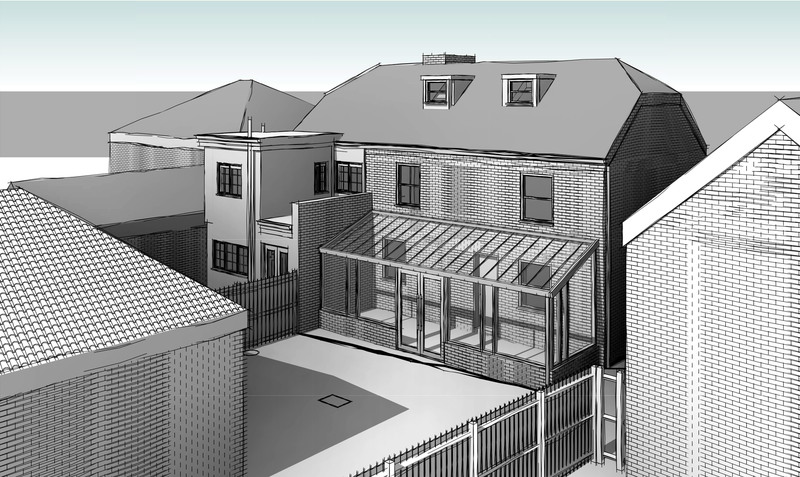 Our two clients in Middle Wall Whitstable wished to develop a scheme together to extend their locally listed cottages to the rear. 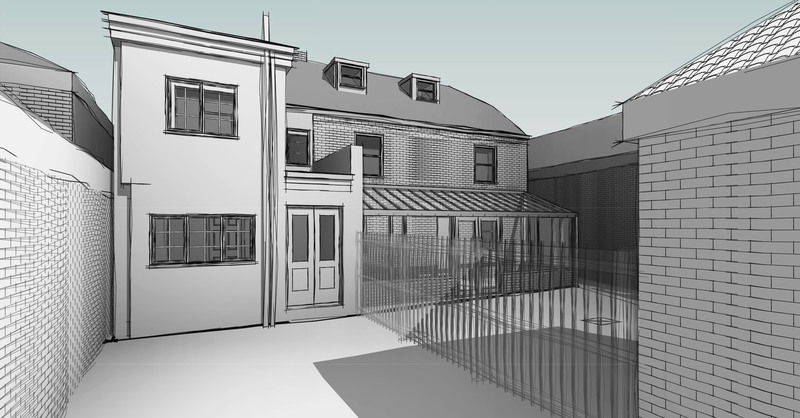 They had previously failed at the planning stage and so we have worked with them and Canterbury Council to try to develop a scheme which is sensitive to the unique characteristics of the existing buildings and the surrounding Whitstable Town Conservation Area. 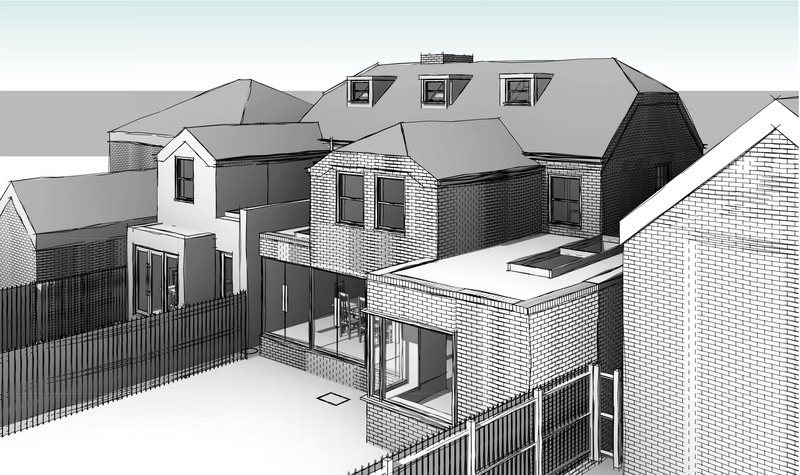 Both clients wanted to increase their living space and bedrooms; the extensions take a traditionalc approach at first floor level as this will be more visible from the surrounding Conservation Area, whilst the ground floor extensions will have a more contemporary feel. Both schemes are designed to bring light deep into the buildings and create living space which opens onto the garden. 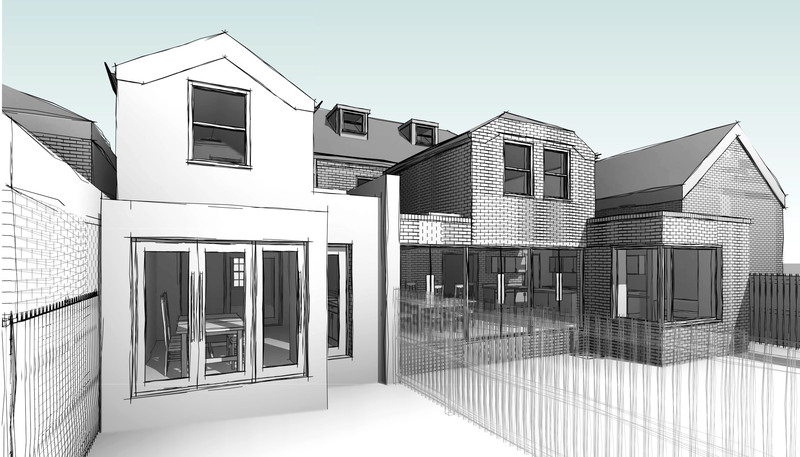 The clients have submitted a joint planning application, as the scheme is designed to look like a natural extension to what appears as 3 terraced cottages.